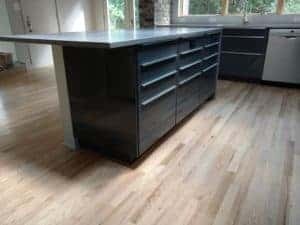 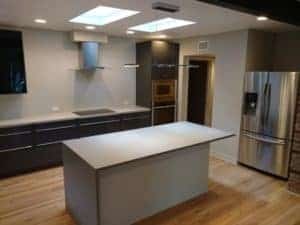 My client contacted me in 2015 about an IKEA Kitchen for a mid century modern house they just bought. 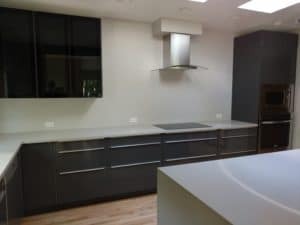 We met and I received the architect drawings to price out an estimate for assembly/install and they ordered the cabinets. 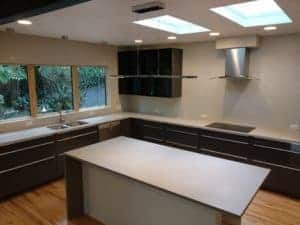 Since this was a full house remodel before move in, they said they’d be in touch when they were ready for the kitchen to be installed. 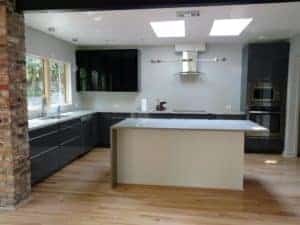 Fast forward almost a year later and many problems with the remodel, I was finally able to get their kitchen installed. 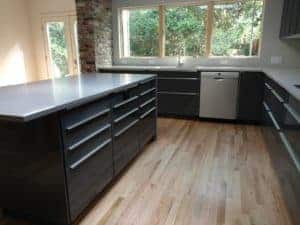 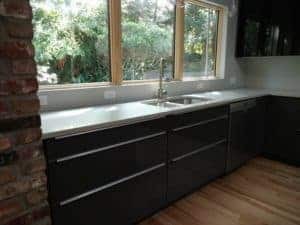 They went with the modern Ringhult door that is one of the best built doors in the IKEA lineup and went with all drawers for their bottom cabinets and wall cabinets that have smoked glass doors. 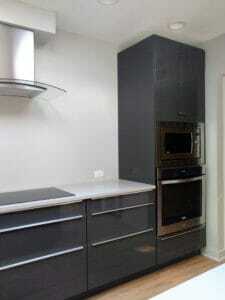 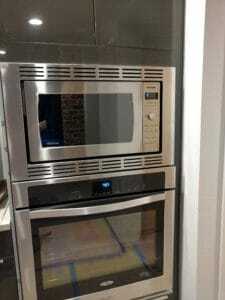 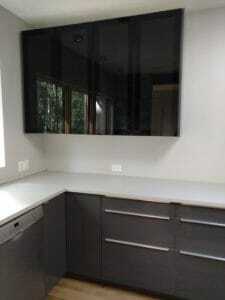 The built in oven and microwave finish off the clean lines.